Vignette World Cup Espana 82 n°313. 75012 PARIS. WAPPEN - SCUDO - ECUSSON - BADGE. Si svolse in Spagna dal 13 giugno all'11 luglio 1982. Fu il primo campionato mondiale in cui le squadre partecipanti furono portate da 16 a 24. La squadra vincitrice fu l'Italia, che sconfisse 3-1 la Germania Ovest in finale. 9 Bilder fehlen. 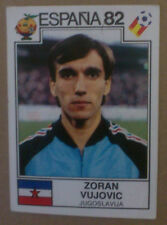 Espana ´82 Wold Cup Fußball. Mo, Mi, Do & Fr 12-18 Uhr. - Heft altersbedingt nachgedun kelt / angestaubt. Sticker Album Panini. 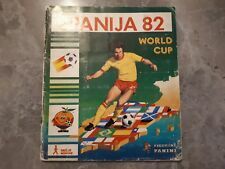 WORLD CUP 1982 ESPANA 82 PANINI STICKER ALBUM IN GOOD or BETTER CONDITION. The Album cover is in good condition considering it`s age. Small writtings on first page. Middle of album is looking good and it is has four staples.